Our Chiltern Breakfast League team started the season with a hard fought win at home, 3.5 : 2.5, against our local neighbours Weston Turville. This is the third year in a row we have opened the season with a win against Weston Turville and although this was a closer result than in previous years a good win nevertheless thus enabling the team to retain the "fortress Risborough" principle into 2019. 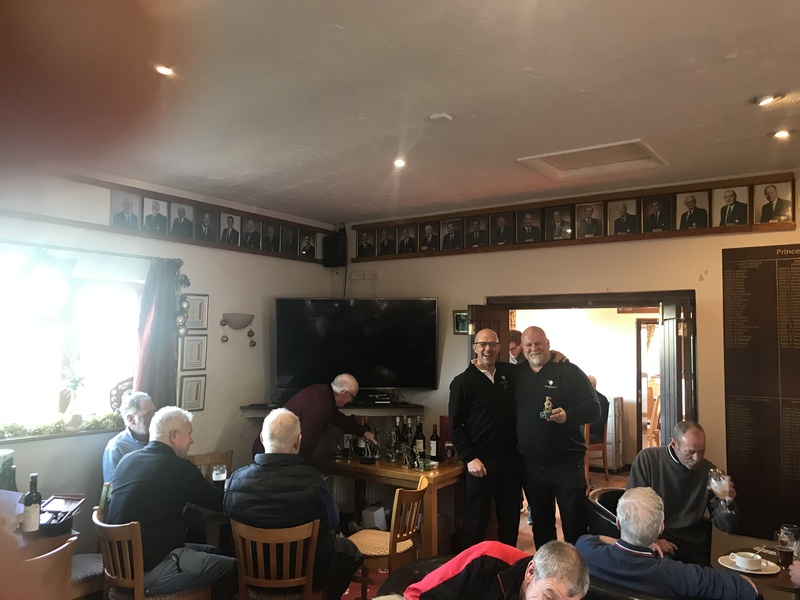 Our Captain John Verrall playing with Dean Herritty, our club champion Neil Martin playing with Gavin Adams and Bob Darvill playing with Richard Aldridge all registered excellent wins with Alan Jackson playing with Steve Wagerfield securing the all important half. We took the opportunity to give debuts in the league team to Steve Sargeant and Jeff Hockley and whilst they were in losing pairs, both will have benefitted hugely from playing competitive inter club match play golf for the first time. This win follows hard on the heels of our Hillman Trophy (singles) team beating The Royal Household in the first round of the BB&O Hillman Trophy inter club challenge so a really good start to the competition match play season. We have good pool of competitive match play golfers which should serve us well in 2019. Our next CBL matches are both away: at Wycombe Heights on 27th April and Richings Park on 4th May. A good performance in the these two matches augurs well for the season. Massive thank you as always to the Greenkeeping team; Jake and John did an amazing job. Also, not forgetting the great customer service and food from Nick's clubhouse team. At the end of the day, our pride in winning is massively enhanced by being proud of our course and the customer service our guests receive. You all know the Winter Stableford had to be cancelled for the second time yesterday due to the snow. But I have to say it looked absolutely beautiful in the woods. Multiply Magic, which Jill was organising for 6 February will be cancelled and fingers crossed, we'll be able to play the Winter Stableford instead. Let me know if you are unable to play. To raise money for the Men/Ladies Captains Charities. A poster will be going up shortly. At the moment ladies meet at about 9.30 am to go out. Sign-up sheet will be on Notice Board early next week. Quite a quiet month. Hopefully see some of you on Monday weather permitting. PRGC Christmas Winners – You won’t believe it!! Christmas Eve at PRGC saw 64 members and guests participating in the annual Texas Scramble and what a great day it was. Apart form a little early mist the weather was excellent for golf albeit the low sun did cause some players a little difficulty when following the flight of their sometimes errant, golf balls!! 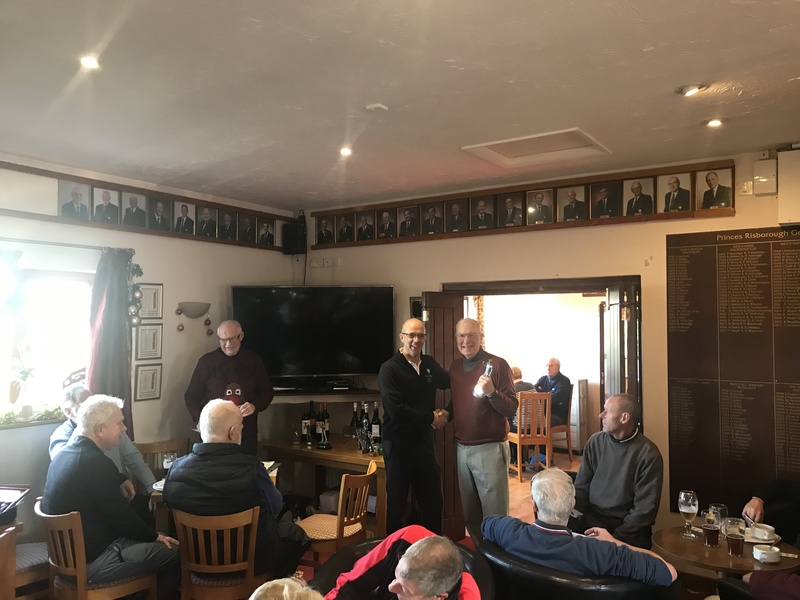 The course was in great condition for the time of year and was reflected with some excellent golf being played all round. 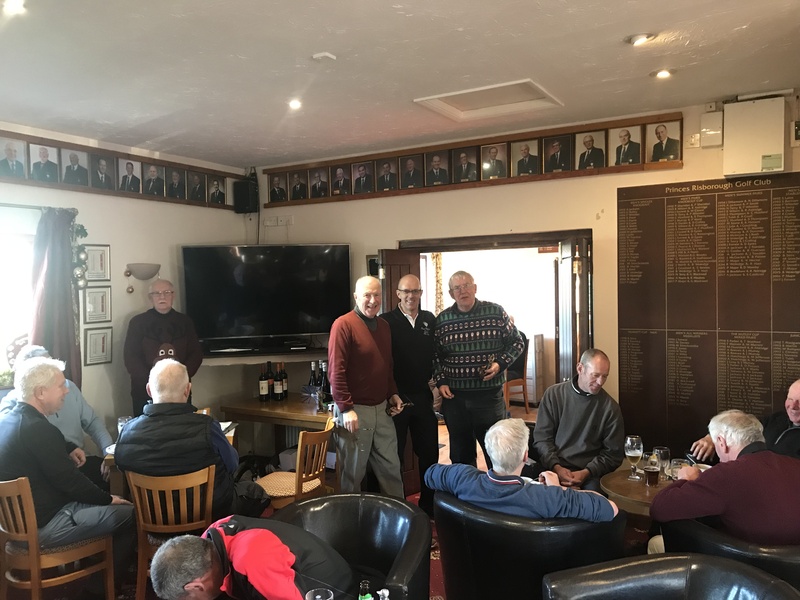 The guests competition was hotly contested and the eventual winners were John Hutton, Saul Spearing, Sean Watt and Nick Worthington with a highly creditable net score of 58.9. These Oxfordshire members clearly enjoyed their day in the sun at Princes Risborough. Richard Aldridge, Pete Smith, Neil Terry and Daniel Anstee were pipped in to runners up spot on this occasion. 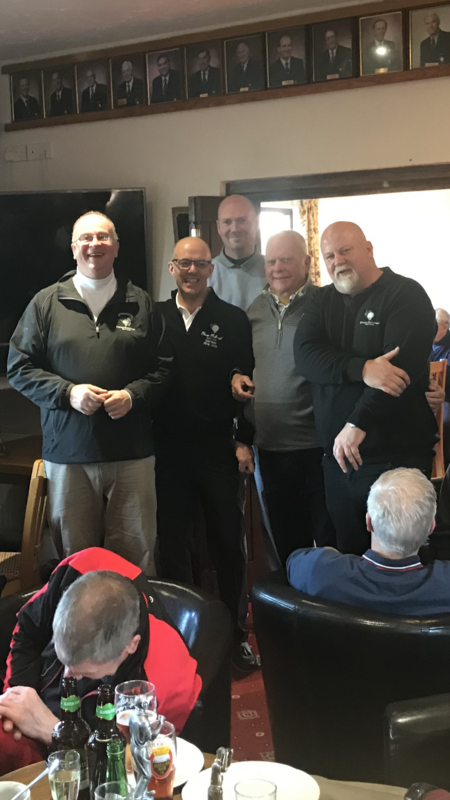 In the members competition there were some outstanding results with the winning team of John, Gary and Mark Tubb plus our General Manager Nick Shaw knocking in 5 birdies in the last 6 holes to secure victory with a net score of 56.2!! 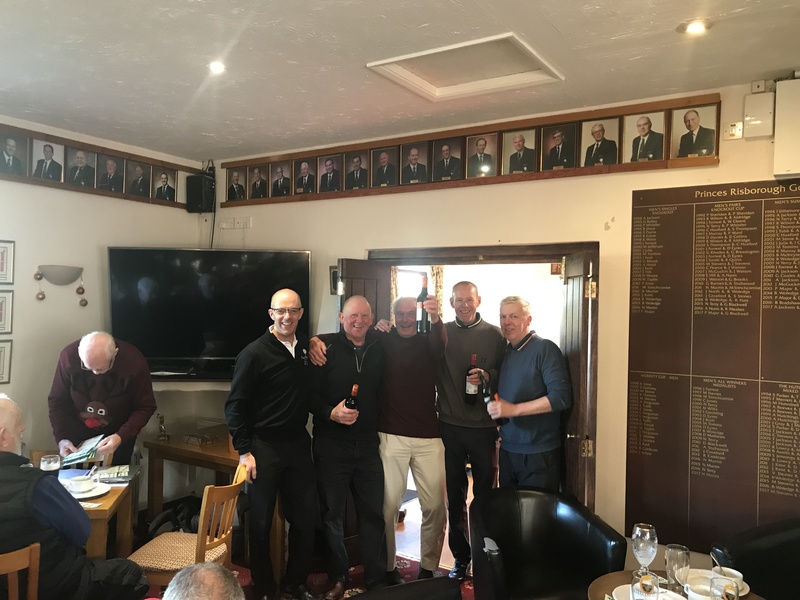 Thus they pipped the new boys, Steve Williams, Joe O'Donnell, Steve Archer and Ian O'Donnell in to the runners up spot with a score of 57.4. This is the first time the Steve, Joe, Steve and Ian have participated in the competition so what a debut. 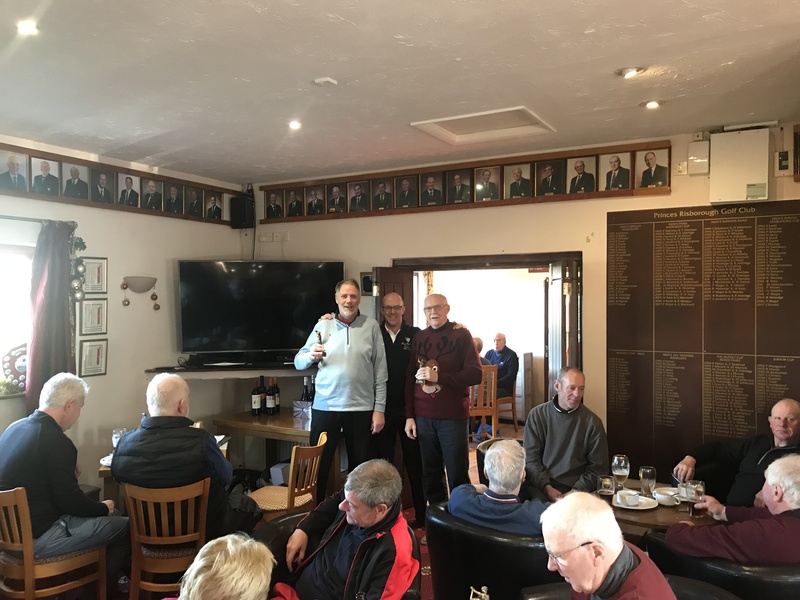 Third place on 59.4 went to Alan Nunn, Roger Meakes, Pete Major and Alan Jackson which was also a great achievement-and they even managed to fill the card in correctly this time!! 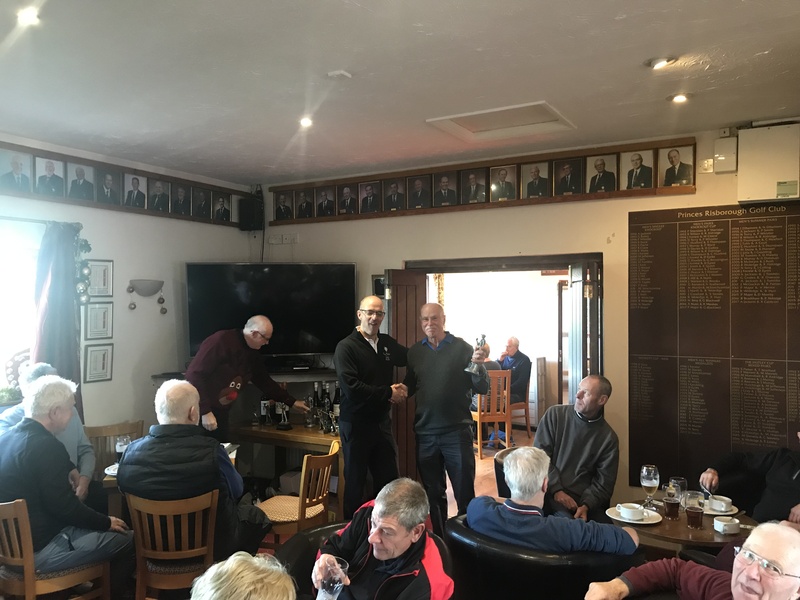 And finally our Captains, Rosie Brand and John Verrall, ran a raffle in support of their respective charities and all players participated in making this a highly successful fund raising event. That concludes 2018 at PRGC. Now its in to 2019. All golfers will be aware that from 01 January 2019 the rules of golf will be changing to a much greater extent than has been the case in the past. In essence the R&A have enacted a number of changes which are primarily designed to quicken the pace of play and others which are designed to remove some of the odd anomalies that have emerged over the years. 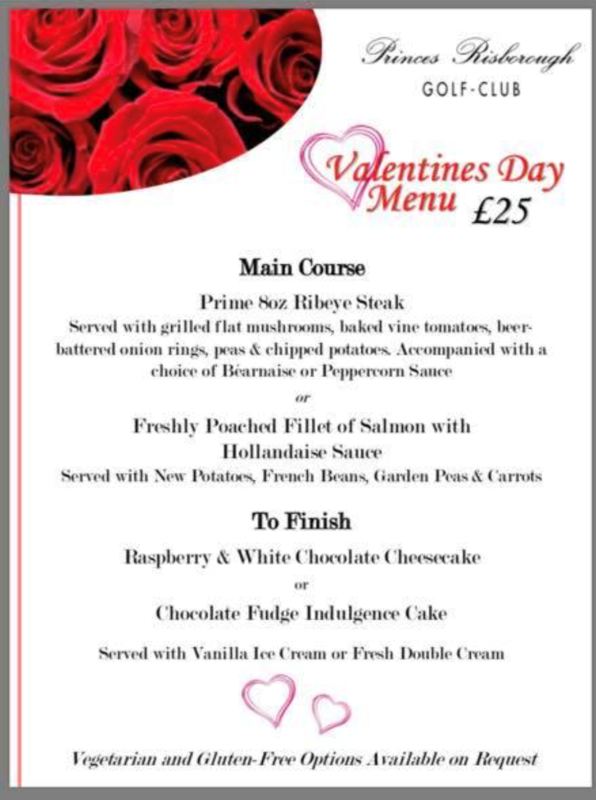 Nick has copies of the GOLF rule book in the club house and this is available to all members. I will assume that all members are familiar with the rules of golf and where needed have acquired a copy of the rule book from Nick. 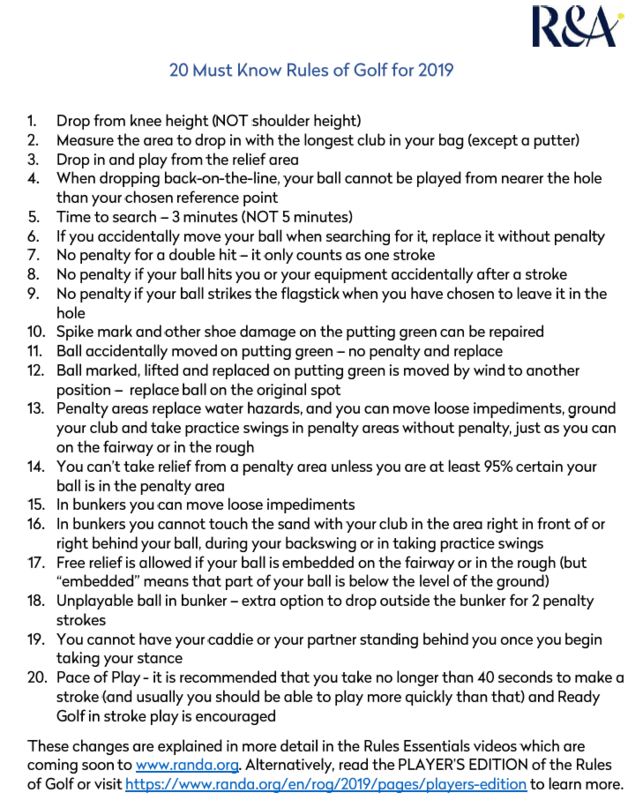 The R&A have very helpfully published a shorthand brief on the most important changes under the title "20 Must Know Rules of Golf 2019". I attach a copy of this one page brief which does what it says on the tin and tells you all you need to know about the rule changes. It also has a link to the R&A website for those who wish to know more and explore further. There is one further change to the rules where clubs can decide on the appropriate course of action. This concerns balls potentially lost off the tee or in general play. Hitherto if you hit your ball in to the rough or potentially OB then you must declare a provisional ball and play a second ball from the original spot-the stroke and distance penalty. This second ball is 3 off the tee or in the case of field shot a one shot penalty (if you lose your second shot you drop a provisional ball and play four from the point of the original shot). These rules have been extant for many years and will continue to apply in ALL COMPETITIVE golf. For PRGC this traditional ruling will apply to all monthly medals and stablefords, all board competitions, winter eclectic and all Inter Club matches. This will apply to all full club and seniors events as appropriate. In all friendly golf we will apply a new rule. In this case if you find you have indeed hit a shot OB or your ball is lost in general play you can take a drop, two clubs lengths inside the course at the point nearest to where the ball was lost. Players should agree with their playing partners where the nearest point would be. In taking this relief you incur a two shot penalty: thus if you lose your tee shot, you drop two shots and will then be playing 4 from the nearest point to where the original ball was lost. 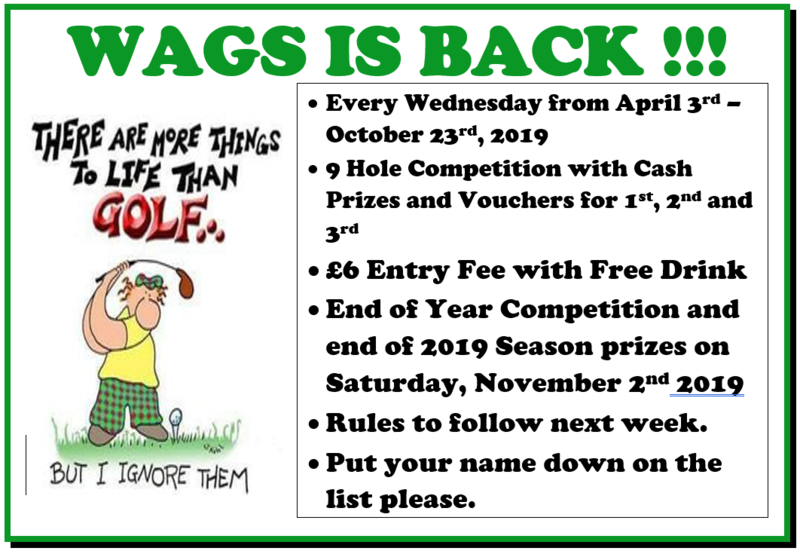 The Committee has agreed that Friendly Golf will include the WAGS and TOFFS, the two formalised midweek friendly playing competitions at the club and all other friendly golf including Visitors and Societies. Overall this change in rules for friendly golf will improve the speed of play. That's all there is to it!! I am sure we will get used to the new rules pretty quickly once we are in to the swing of it all. If you have any queries please do get back to me. Best wishes and a happy golfing New Year to you all. 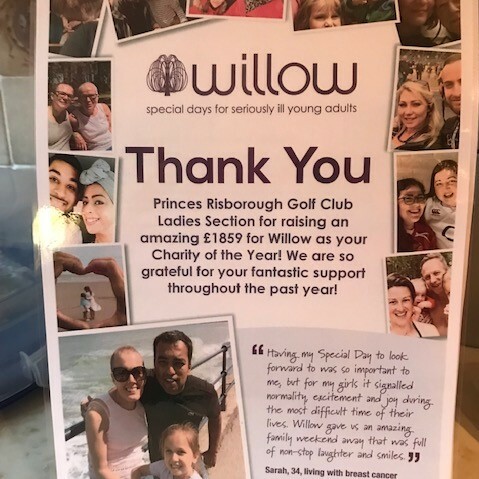 PRGC Ladies raise £1859 for Willow Charity – Amazing Result!!! The carpark at PRGC is now renovated with new gravel laid. The winners of the Chiltern Breakfast League (CBL) for 2018 are Three Locks who have managed to secure their first win in their first season in the league so a significant achievement. Three Locks enjoyed a highly successful league campaign losing only two matches out of the ten played. Needless to say one of those losses was at Princes Risborough who of course won every home match in 2018. Three locks went on to beat Halzemere in the semi final and then Aldwickbury Park in the final. 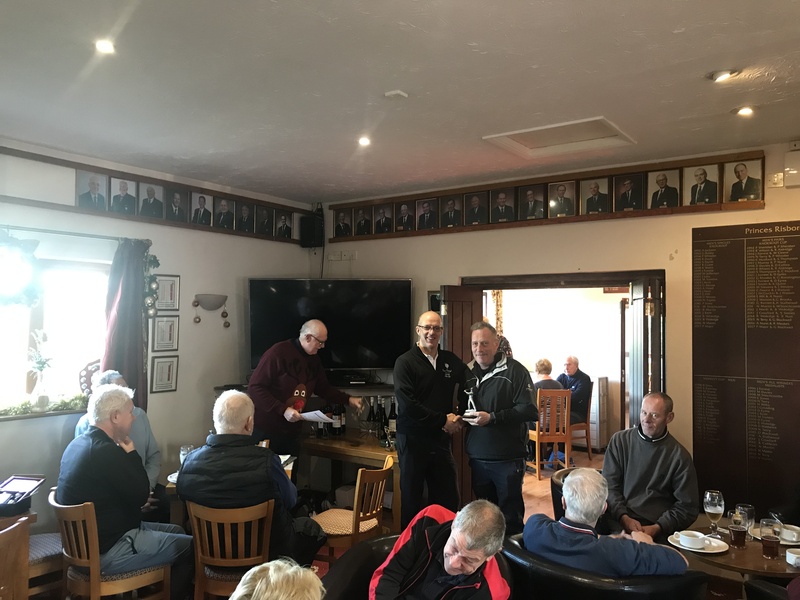 The end of season gala took place at Richings Park yesterday, Sunday 21st October, where the 17 league clubs all came together to compete for the CBL Challenge Cup. Winners on the day were Aldwickbury Park and Princes Risborough came a highly respectable fifth overall. 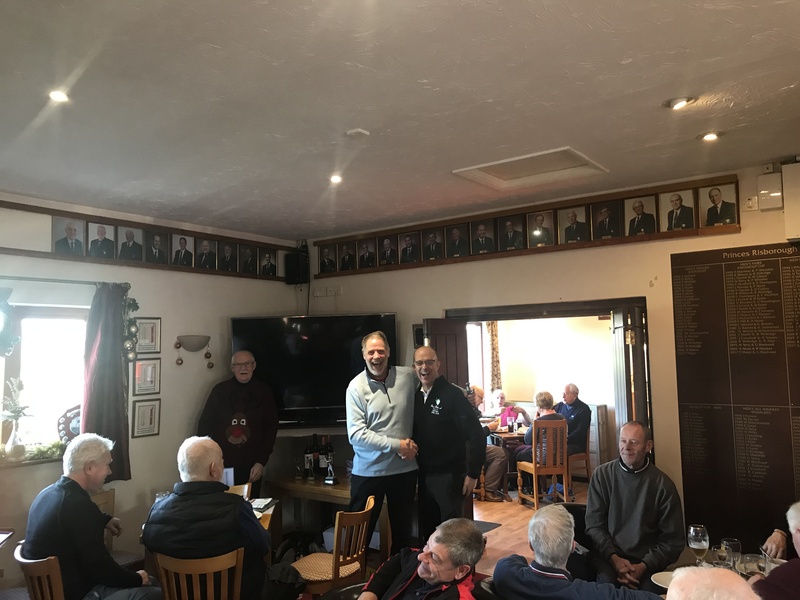 Neil Martin playing as the single secured 31 points whilst the pairs groups of Barry Woledge and Bob Darvill (42 points), Steve Smith and Dave MacKenzie (40 points) and Dean Herritty and John Verrall (37 points) added handsomely to the team total. No individual winners this year but a great team performance. The next event is on Saturday 27th October with the first round of the CBL winter knock out. As one competition ends another begins so onwards and upwards.